Thursday November 8, 2018-Two college students working for the notorious quack doctor, Mugo Wairimu, were on Thursday arraigned in court and sent to Remand Prison. 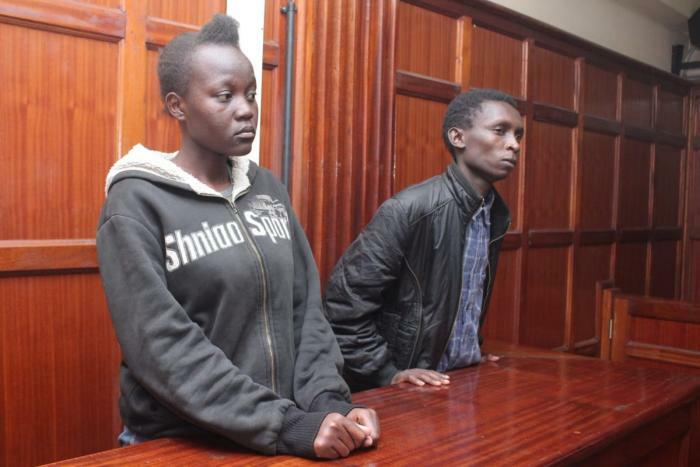 The two Risper Auma Ogony and Victor Gathiru Kamunya were arraigned at the Milimani Law Court and charged with seven charges among them operating a clinic without a licence. They were held until November 15th as they await the pre-bail report. According to court documents, Kamunya is a student at Kenya Medical Training College in Siaya County while Ms Ogony is pursuing a diploma in procurement at Kiriri Women's University of Science and Technology in Nairobi. This comes even as Mugo Wairimu has gone into hiding after he learnt that police were pursuing him following the expose on his clinic and the illegal things he does in there.